Kyla was born in 1988 and was raised in Saskatoon. She knew from a young age that she wanted to become a veterinarian. Being a city kid, she has her aunt, Dr. Laverne Seib, to thank for exposing her to the life of a dairy veterinarian. After spending several summers during high school shadowing Laverne, she was hooked. From there Kyla worked and did research at the University of Saskatchewan dairy facilities prior to being accepted to the WCVM. During summers while at vet school, she prioritized taking jobs that focused on expanding her knowledge and skill in dairy practice. She spent a few months at Greenbelt Veterinary Services in Chilliwack, BC, and thoroughly enjoyed the experience. After graduating with distinction from WCVM in 2013, she went on to partake in the Summer Dairy Institute at Cornell University. Kyla practiced at her aunt’s practice in Lacombe, Alberta for two years. It was a busy but exciting two years, where she learned a lot about all aspects of dairy practice. At the end of 2015, it was time to come back to Saskatchewan to be closer to immediate family and was excited to join the Warman Veterinary Services team in March 2016. 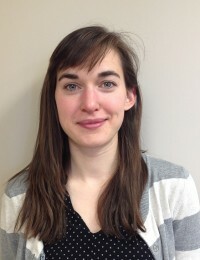 She looks forward to developing relationships with Saskatchewan dairy farmers to help them achieve their goals. She is new to all aspects of the veterinary side of the swine industry but looks forward to meeting and working with producers all the same. She has an excellent set of swine mentors to help with the transition. Kyla married Zach Aitken in June 2016. He is a mechanical engineer for a small consulting firm that works for the Saskatchewan potash mines. They have an odd greyhound cross dog and a spunky cat. Outside of work both Kyla and Zach like to camp, garden, bake and spend time with family and friends.